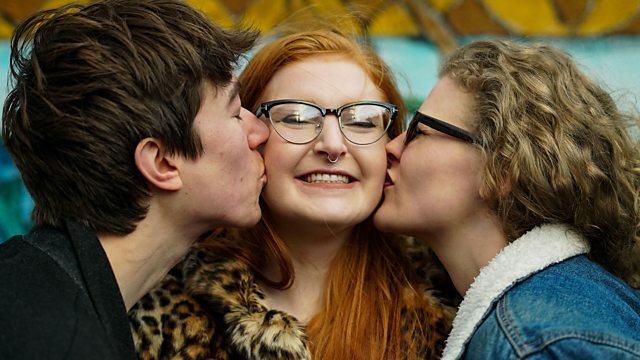 Documentary exploring the growing popularity of polyamory, which involves having multiple romantic relationships rather than just one. A growing number of people are finding that traditional relationships don't work for them. So instead of just one, they have multiple romantic relationships. It's known as polyamory. Polyamory requires the full consent of everyone involved, but even then things can get complicated. Existing partners can easily feel left out, jealous or hurt. So open and honest communication is essential for polyamory to work - plus some careful timetabling. Love Unlimited features polyamorous relationships of many kinds. Noni is a young woman with two boyfriends, Kima and Toms are a bisexual couple in an open relationship, and Ross, Iain and Pav are a trio of gay men in a three-way polyamorous partnership. Jayne and Dom are very much in love but feel it's important to keep their relationship open to the possibility of additional partners. What they all have in common is that they have rejected monogamy in favour of a more open and fluid approach to relationships. There is much negativity and confusion surrounding polyamory. It can be especially hard to understand for family and friends. There's also the emotional strain of dividing time and affection between partners and the stress and anxiety of opening up an existing relationship to new potential partners. Poly people insist that it's about multiple meaningful relationships and not an excuse to sleep with lots of different people - although that can happen too. Despite the challenges new research shows that overall satisfaction can actually be higher in polyamorous relationships. So how do you go about loving more than one person? And what can polyamory teach us all about happy healthy relationships?